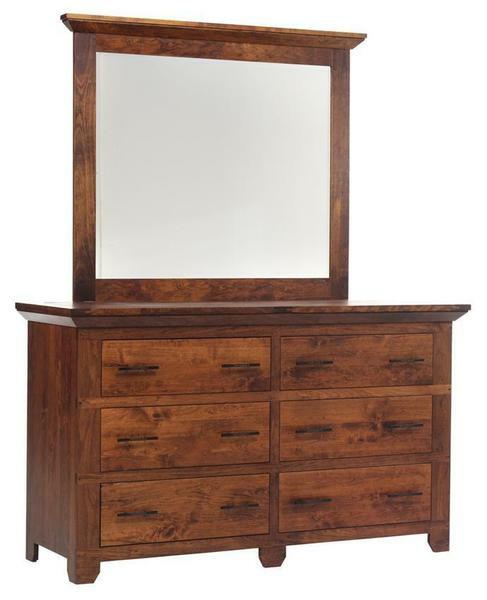 Bring that rustic charm into your bedroom decor with our Redmond Wellington Dresser! With a simple design, influenced by early Shaker style furniture, and a handcrafted Rustic look that will make the perfect statement on your decor, this versatile dresser can change the look of any bedroom in your home! Featuring six, flush mounted dovetailed drawers, that ride on side mounted, full extension slides, this dresser will give you plenty of room for your clothes and delicate items. Add the optional beveled edge mirror to complete the perfect piece and make sure you always look your best before going out to face the day!